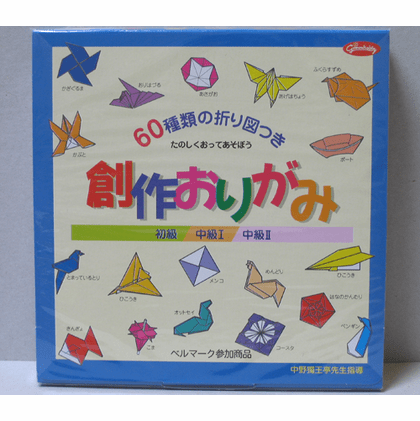 Sosaku Creative Origami Paper 6" Sq. Home | Origami Paper | Sosaku Creative Origami Paper 6" Sq. 60 objects with step by step picture instructions written in Japanese, diagrams are universal. For Beginners and Intermediate levels. 200 sheets in 16 assorted colors. One side printed in a sold color the other side is printed in white.